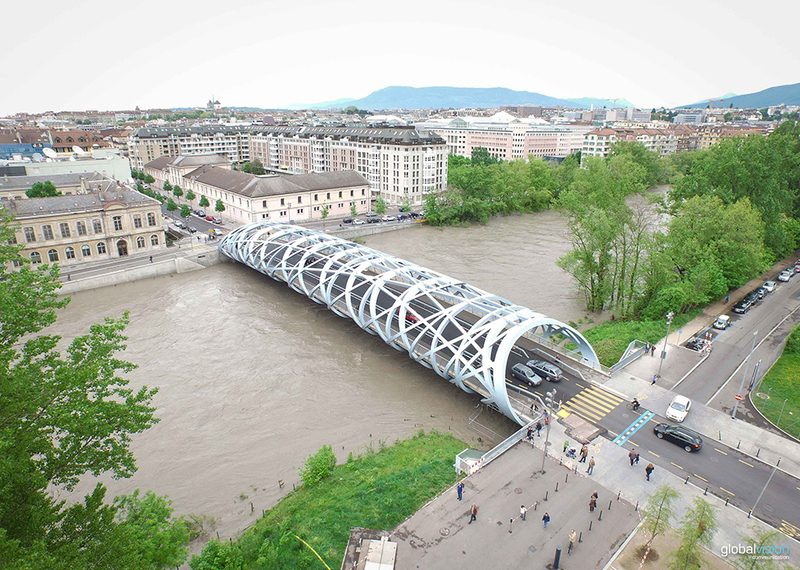 Due to heavy rains for several days, the Arve River in Geneva overflows and reaches its highest water surgesince 1935. Here is some aerial footages by globalvision. 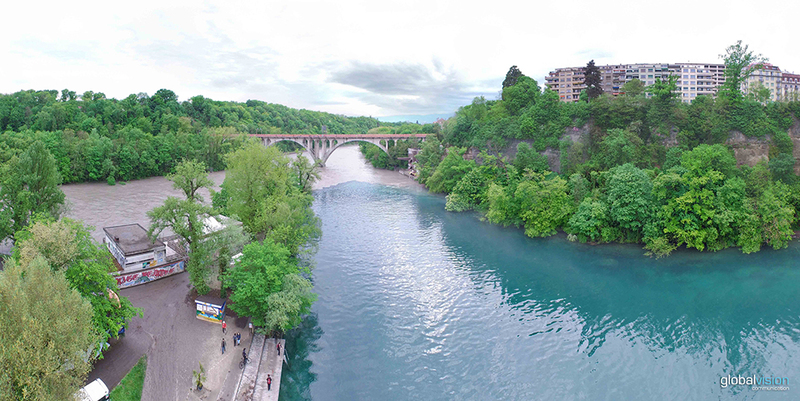 Aerial video of the historical rising of the Arve River in Geneva, May 2015. The Junction of Arve River and Rhone River in Geneva, Switzerland. Image taken by a professional drone of GlobalVision. Pont de la Jonction, a bridge cross over the junction of two rivers. The water of the Arve River mixes with the water of the Rhone River. Hans-Wilsdorf Bridge on the Arve River. Hans-Wilsdorf Bridge. Photo taken by a drone.